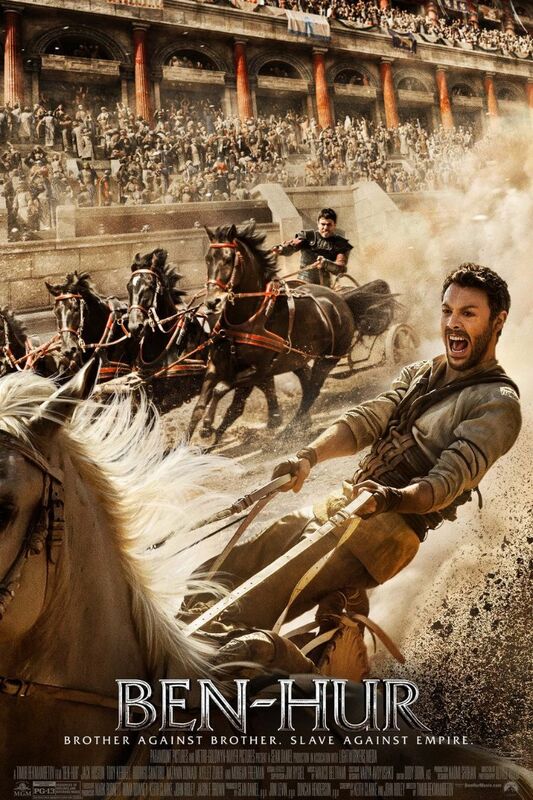 Ben-Hur is a 2016 American epic historical action drama adventure film based on the 1880 novel Ben-Hur: A Tale of the Christ. The film premiered on August 9, 2016 in Mexico City and was released by Paramount Pictures and Metro-Goldwyn-Mayer on August 19, 2016 in the United States. The film title in the poster was probably designed based on the glyphic serif font Friz Quadrata by Ernst Friz and Victor Caruso, who designed it for Visual Graphics Corporation in 1965. The typeface is often used as a display font, for short texts and headlines. In addition to Ben-Hur (film), Friz Quadrata typeface is also used in the following logos, movie posters or album covers etc., including: Black Flag, Paladins (video game), Uprising, Gun, Honey, DFDS Seaways, Taco del Mar, American History X, Pierce the Veil, Opera Sauvage, Erdinger Logo, League of Legends, Moncler Logo, Fujitsu, Shakespeare in Love.